"Go Back. Go Forward. Go Online." 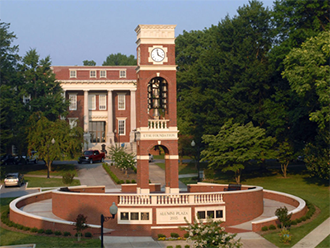 Nestled in the Southern Appalachian Mountains, East Tennessee State University (ETSU) opened in Johnson City in 1911, as East Tennessee State Normal School to prepare teachers for the region’s public schools. Twenty-nine students walked through the doors on the first day of classes. Today, the university’s enrollment exceeds 14,400 students with a focus on becoming the best regional university in the nation. Eleven colleges and schools meet the region’s diverse needs through more than 100 degree programs in the arts and sciences, business, education, health sciences and technology. ETSU holds the distinction of being recognized as a 2015 Military Friendly® higher education institution for exemplary practices in recruiting and supporting post-military students. The university offers credit for work and life experiences through Prior Learning Assessment (PLA).